Why do we say, “in Jesus’ name,” at the end of our prayers? Several scriptures instruct us. 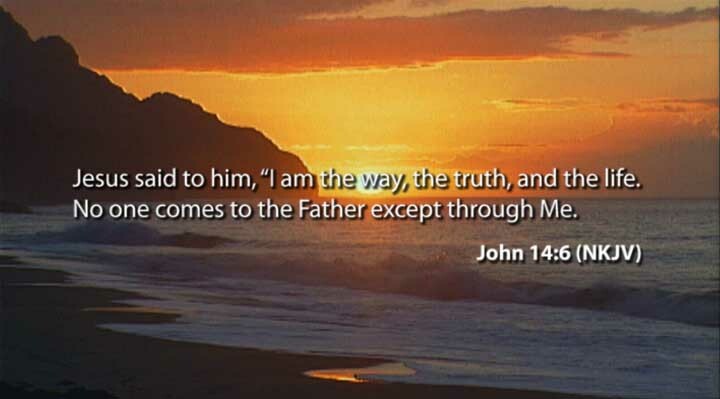 Let’s begin with John 14:6. Jesus spoke very plainly and firmly that the only way for us to be welcomed into God’s presence is through him, our Savior and advocate. Jesus made access possible by his death on the cross, paying the penalty for our sin. Based on our own right-doing, we could never enter into God’s holy presence. Our good deeds are as valuable as filthy rags (Isaiah 64:6), because they’re stained with sin. But when we believe in Jesus and allow him full reign in our lives, he exchanges those filthy rags for a dazzling cloak of righteousness—his righteousness. And dressed in this glorious finery, we may enter into the throne room of the King of the universe with our requests. “And I will do whatever you ask in my name, so that the Son may bring glory to the Father. You may ask me for anything in my name, and I will do it” (John 14:21). When we pray in Jesus’ name, we’re praying by his authority. Years ago, Steve and I enjoyed a VIP tour of Cape Canaveral, thanks to our acquaintance with an engineer who worked there. Had we walked into some of those buildings on our own, we would have been turned away. Immediately. No discussion. But Steve and I had been given special badges. We were accompanied by a certified tour guide, and so we were given access. Now think of such a privilege on a cosmic scale: We are able to walk into the ethereal presence of Almighty God because we know his Son, Jesus. John 14:13 says that we may ask for anything in Jesus’ name, and he will do it. At first glance, it might seem that Jesus is promising to fulfill our every wish for a home worthy of Architectural Digest, a car that causes heads to turn, and a vacation each year in an exotic location. Make that twice a year. But could I really ask for those things in Jesus’ name? He left the perfect splendor of heaven and angels to live in the squalor of humanity. He died an excruciating death, to rescue me from the consequences of my sin. How dare I behave like a spoiled child and request frivolous things, when he sacrificed so much? No, what I want to do is line up my prayers with what Jesus values, what he would desire. And his main goal is to bring glory to the Father. Jesus wants to highlight the magnificence of our God in the prayers he answers affirmatively. And when our prayers are in agreement with Jesus’ agenda, we can pray with confidence that we will be heard and God will answer. “In him and through faith in him we may approach God with freedom and confidence” (Ephesians 3:12). Heavenly Father, I come to you as one of your forgiven children, saved by your Son, Jesus. It is only by his authority that I kneel before you to bring these requests. I don’t want to trivialize the horrific price Jesus paid for my life, by asking for frivolous things. I want my prayers to reflect what you value. It’s just another way I can live my love for you, O Lord, my God. And that’s the deepest desire of my heart. When we begin our prayers focused on God, like you suggest, it changes us and how we focus our prayers. You have a teaching heart, Nancy. enjoy reading this post and pondering its wisdom. Yes, indeed, the attitude of our heart impacts greatly the tone, emphasis, and passion of our prayers. I’m honored you found wisdom within the words of this post. I know you’ll agree: Praise God for his inspiration! By the way, I AM praying for you–in the name of Jesus! To paraphrase a sentence In the first part of your post…you mentioned that our good deeds are as filthy rags. I worked with the nicest guy at CenturyLink. He was constantly giving his time and expertise to anyone who asked… Fixing lawn mowers, helping an old lady in his church, travelling with his church to foreign countries to update their facilities, etc. These ‘good’ people are the hardest to lead to Christ, aren’t they? I wasn’t successful but am still praying for him that he finds someone that can get across to him that all we have to do is to accept that we are sinners and that Christ gave his life so that we could live eternally. Nothing we do ourselves will give us entry into God’s kingdom. Secondly, I love the way that you explain about aligning our requests with His Will for us. Of course, I’ve always realized that asking and receiving anything in Jesus’ name was NOT at all like rubbing a magic lantern and getting three wishes. This blog was a great reminder to me that the desires of my heart should come from the Holy Spirit inside me that steers me in the right direction and to pray accordingly. My dearest desire was to find a Christian husband, something not frivolous in the least. It never happened for me but I finally accepted that God had better plans for me; every since I accepted that (and believe me, it took me a LONG time of miserable discontentment) I have been at peace. Christ knew the BIG PICTURE of His way for me to serve him. I believe so far that has been by being available to my parents as they age and by being a good example (with God’s help) to my nephews and their children. Wonderful post, Nancy! Thank you, Cheri, for sharing how God has worked in your life. You ARE an example to us of grace, embracing the plan He has for you. Yes, there may have been a season of discontentment, but you worked through it until you reached the other side of peace and fulfillment. I pray–in Jesus’ name–each day brings you MANY delights. In my view, you are very deserving!